Diagonale is an artist-run centre dedicated to contemporary art that favours proposals from artists and curators that incorporate the medium of fibres as a material or concept. Diagonale plays a key role in the local visual arts scene, with plans to further develop national and international projects. Diagonale is currently experiencing an important development in its history as an artist-run centre. Located at the heart of a new nerve centre for the presentation of visual and media art, our centre has established itself as a key member of the Montréal art scene. Dedicated to the disseminating of contemporary art as it relates to fibres, Diagonale presents six solo exhibitions annually, as well as artist talks and publications through its special partnerships with other organizations in Canada and abroad. 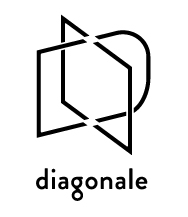 Originating from the Conseil des Arts textiles du Québec (The Textile Arts Council of Québec), Diagonale was founded in 2004 by Council members who sought to address significant changes within the 30 year-old organization. Established as an artist-run centre with a gallery space in Montréal's vibrant Mile End neighborhood, Diagonale produced programming both within its gallery walls and off site. In 2008, it co-founded En Avril, a province-wide, multi-venue festival showcasing contemporary fibre art practices. In 2012, it joined the Pôle de diffusion de Gaspé, and finally in 2014, Diagonale's new gallery opened its doors along with five other organizations devoted to the presentation of contemporary art.